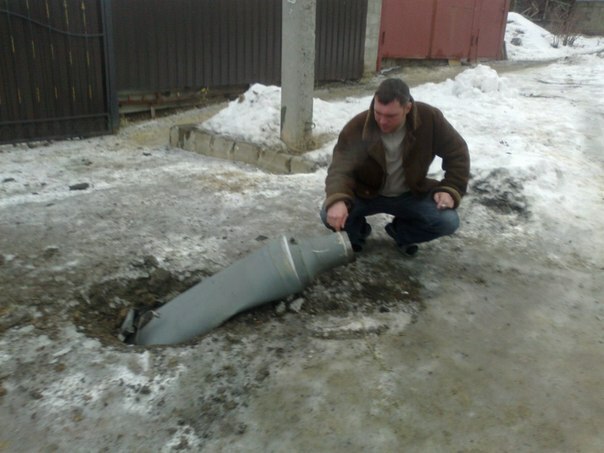 Pro-Russian terrorist shelled at Lugansk using MRLS. Detailed analysis with geo-location. 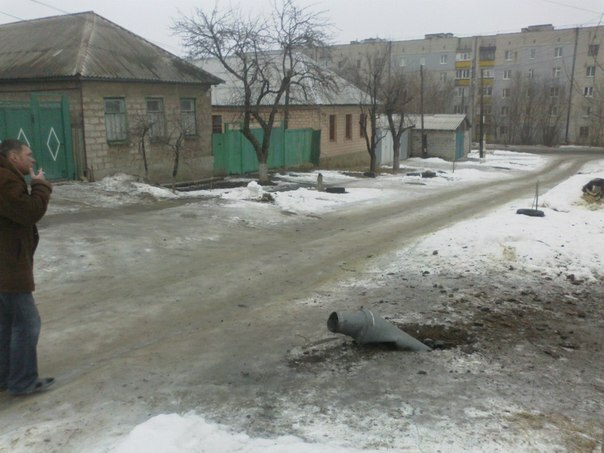 Yesterday on January 27 2015 at about 6pm Pro-Russian terrorists made an attack on Lugansk. 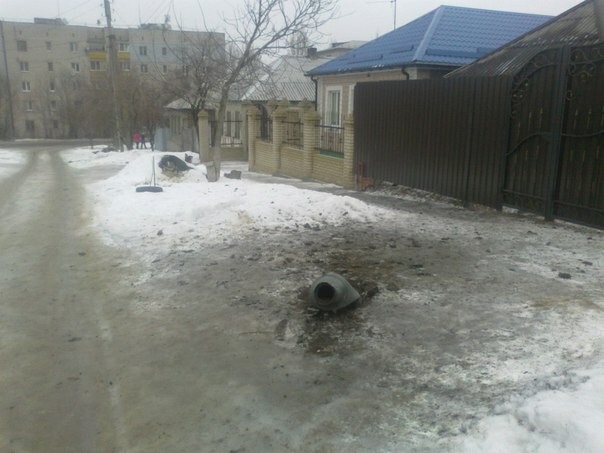 It is not clear if they did it on purpose or they missed and hit residential area. Few rockets were launched from multiple rocket launcher system (MRLS). 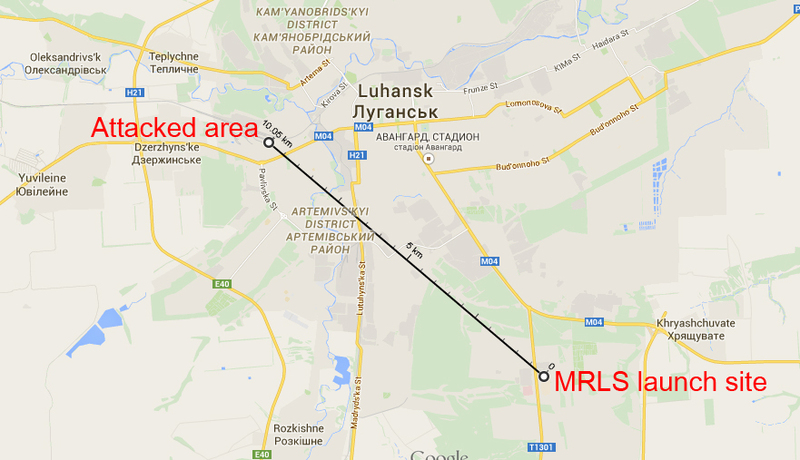 The launch site is located at the place which is used as a base by pro-Russian terrorists and Russian Army units. Our witness saw the moment of the launch. 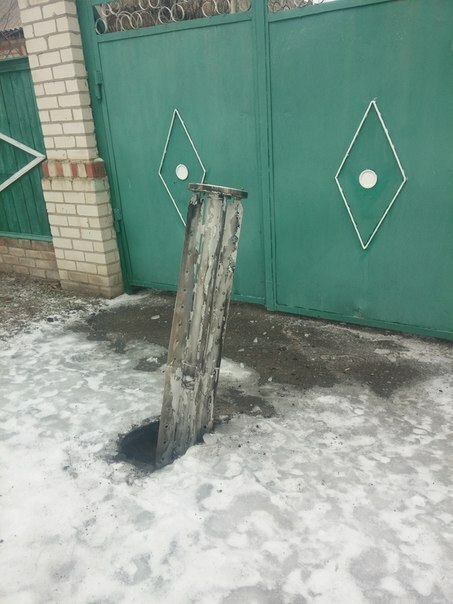 And right after that people started to report about explosions in another part of Lugansk. We got the video of one of the places that got hit with MRLS that proves the direction where the attack was made from. The distance between the launch site and the area that got his is about 10 km. So far we got visual confirmation of 3 locations that got damaged. 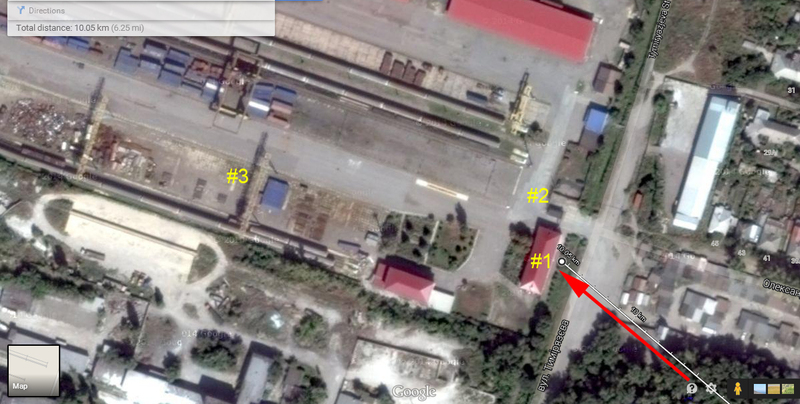 Below is the photo of cargo train station in Lugansk “Liski”. That is part of Donetsk Train Service. 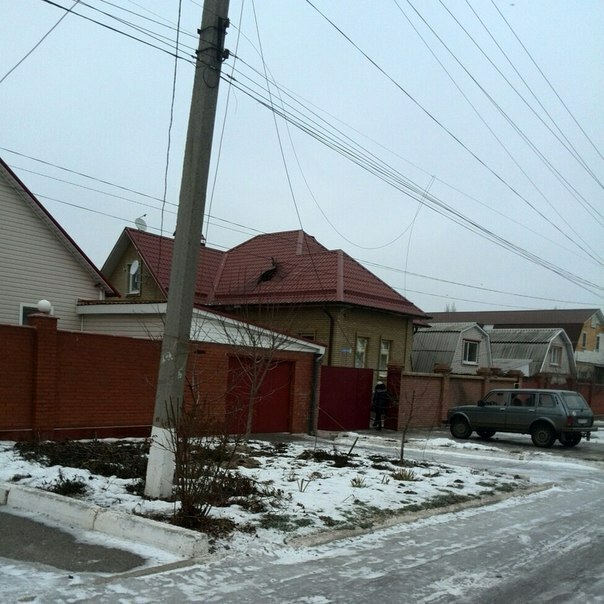 Here is a link to this company website with another photo of same building http://liski.ua/donetsk.html In the photo you can see the damage made by particles that hit the building about explosion. The epicenter of explosion is somewhere in the trees that grow in front of the building and the thing that exploded came from the left as particles spread on the building to the right. 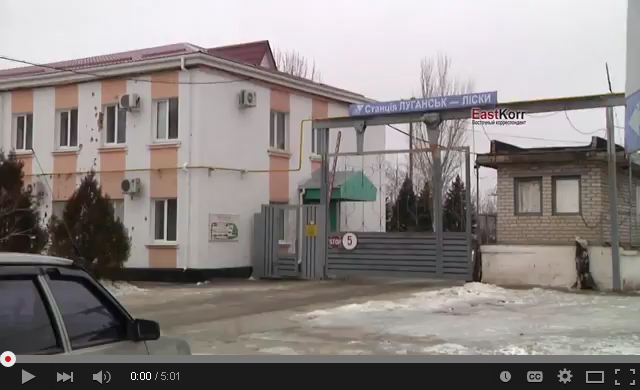 Here is the video where you can see “Liski” trains station building right at the beginning. 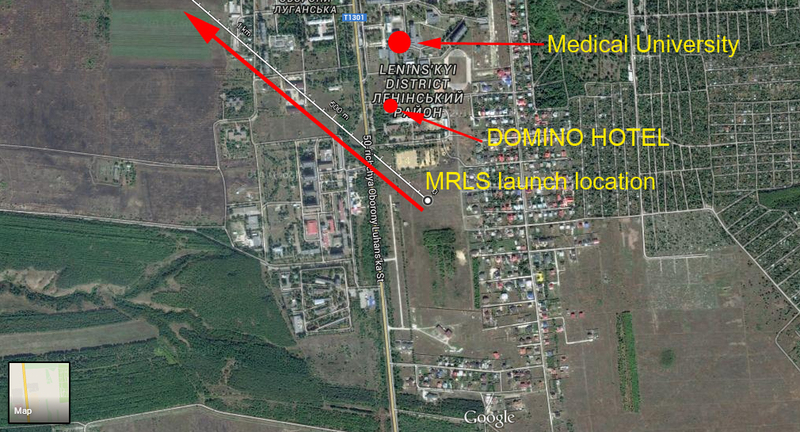 Now here is map with launch site marked. Coordinates of launch site on Google Map. 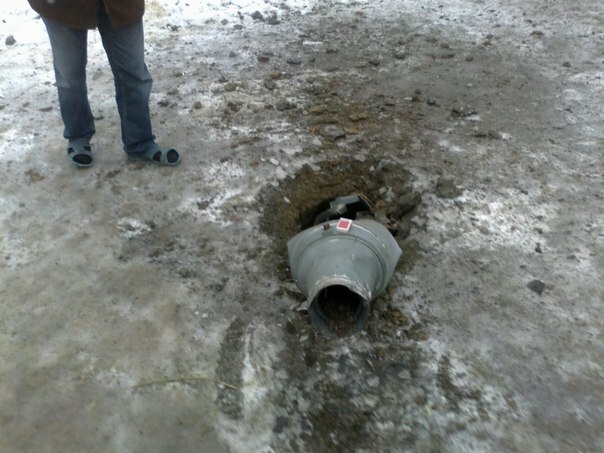 The MRLS was located on the territory of Lugansk hippodrome. Pro-Russian terrorists and Russian Army units are using the territory of hippodrome and buildings there as their base and as barracks for the soldiers. 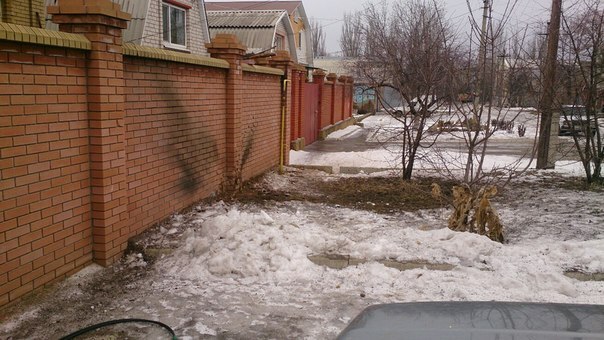 They also live in the building of “Domino” hotel located near that place on the territory of Lugansk Medical University. That’s the headquarters for higher rank commanders. 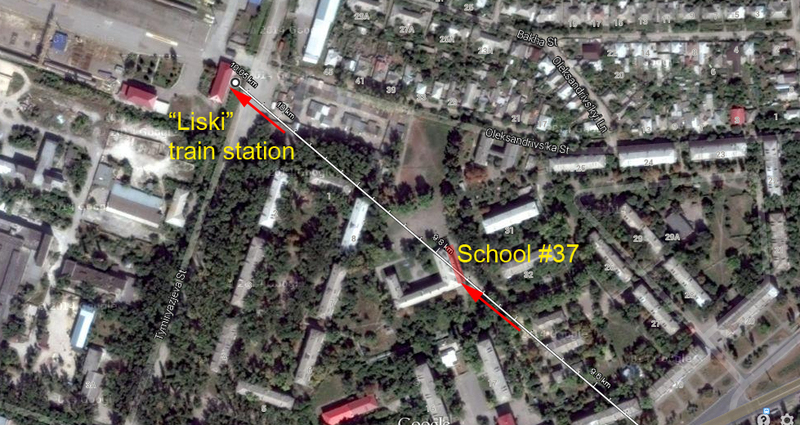 Here is the bigger map where you can see how the launch site and “Liski” trains station are related to each other. 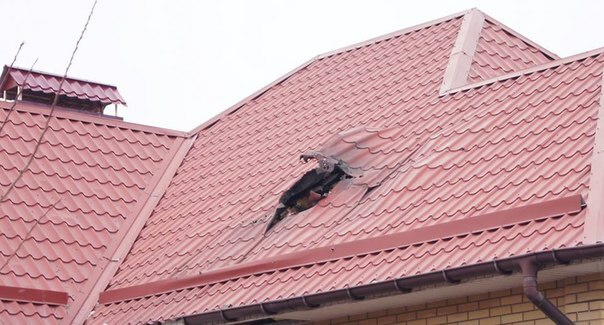 We have analyze another video from the area that was damaged. 200 meters from “Liski” there is school #37, something exploded in front of entrance to the school and in the video you can see that side of the school has broken windows, the damaged side is exactly on the attack line. Here we marked it on the map. 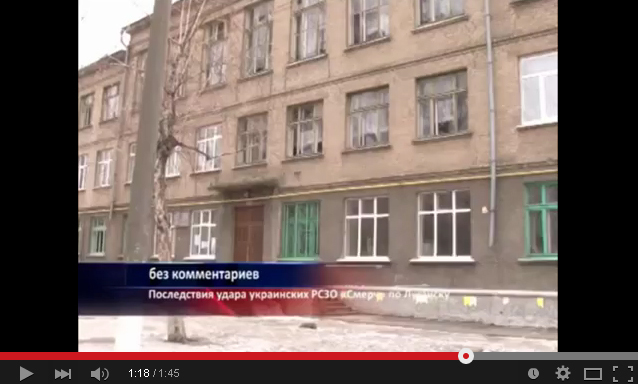 Below is the screenshot from the video where you can see the school #37 with broken windows. 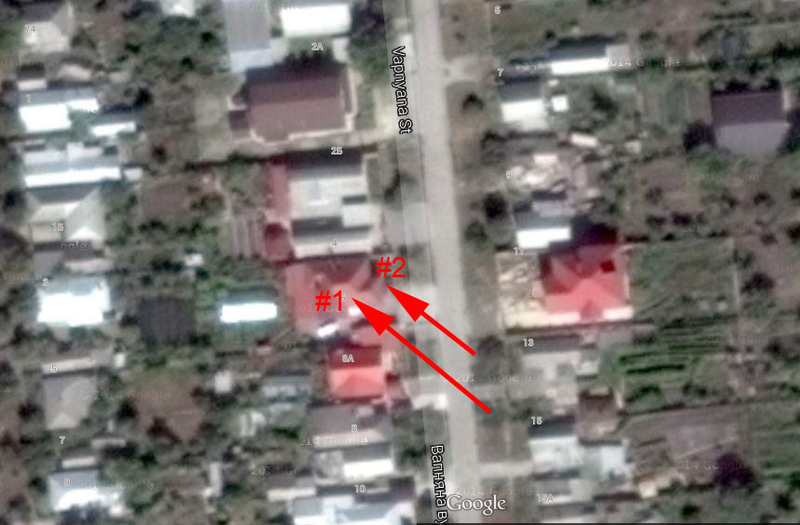 Below is another location that got damaged with this attack. The distance from the launch site is 9.5 km. 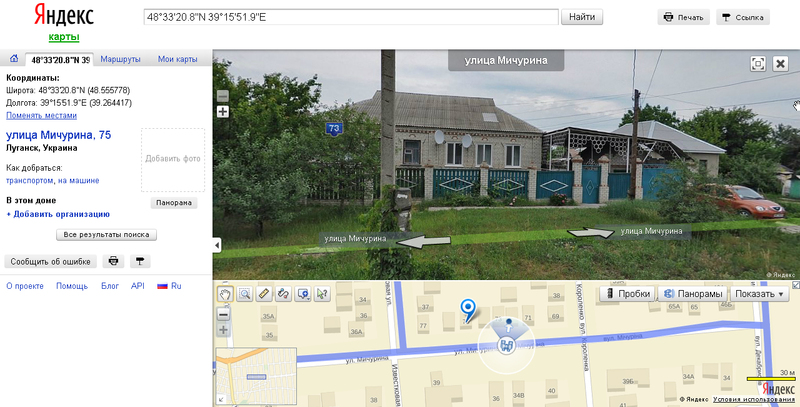 It is marked as Vapnyana St, 6 on Google map (it has Russian name “Izvestkova” st on Yandex map), here is the link to the map with coordinates. 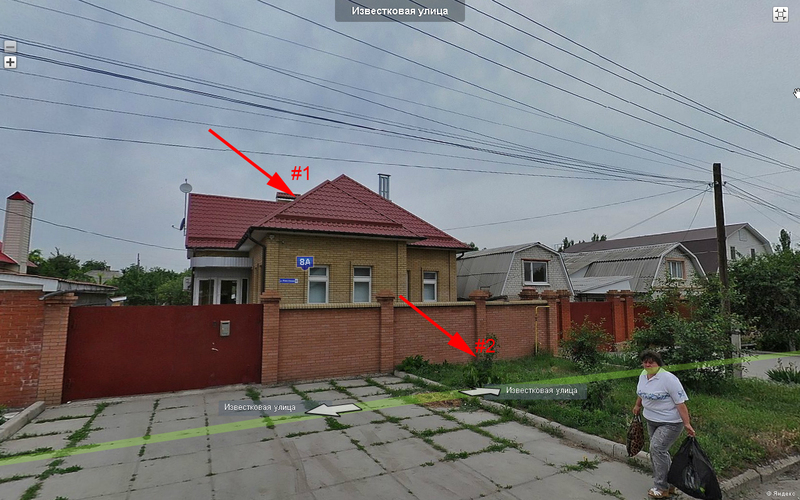 And we also marked the building and the locations where it got hit on the Google Map. The distance and the angle also match hit locations mentioned above. 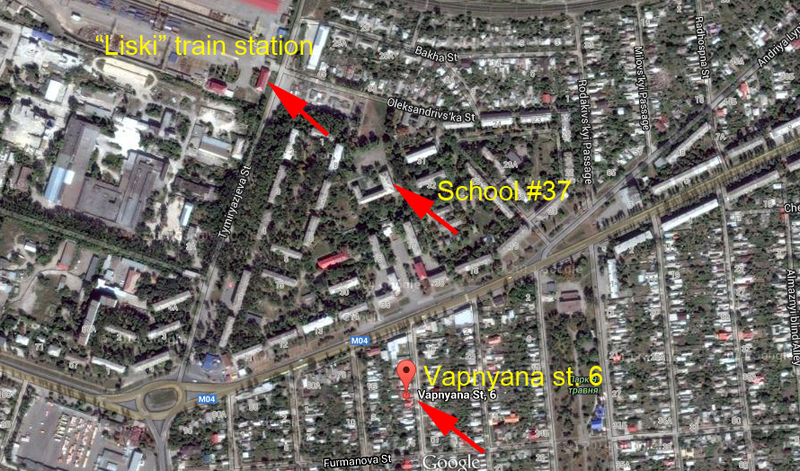 Below we marked on the map the area that was attacked, so you can see how impact locations are related to each other, there is “Liski” train station, School #37 and Vapnyana st. 6. 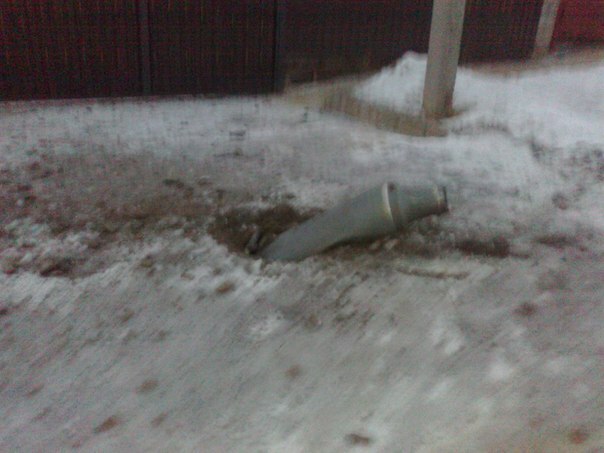 The parts of the rocket used in the attack were also located. The tail part landed first. 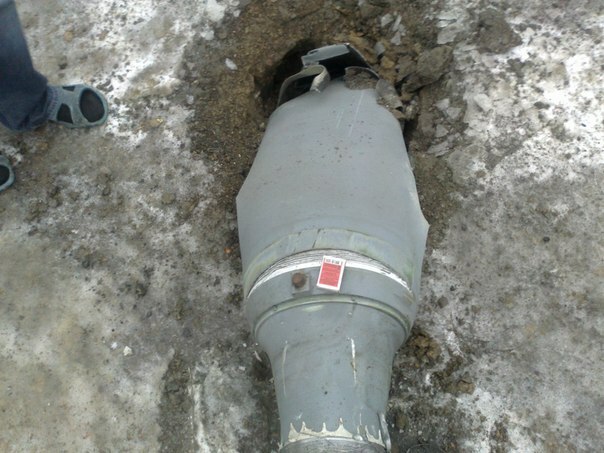 The head (cargo) part of the rocket landed in about 1780 meters and the explosive content started to land in about 350 meters from the head (cargo) part landing location. 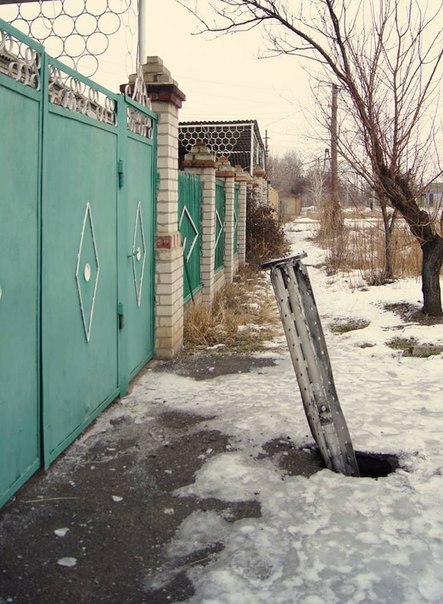 That is typical for “URAGAN” type of MRLS. This part of the rocket falls down almost vertically to the ground, when it hit the ground it got broken to the “energy” direction which is opposite to the direction where it came from. 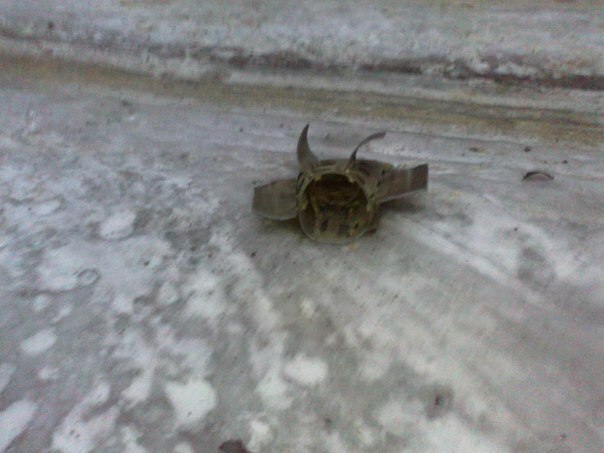 The stabilizer got off and made a mark when it hit the ground and was found few meters away closer to the road. You can see smashed parts of stabilizer in the photos. Here we mark MRLS launch site, the coordinates where the tale part of the rocket landed, the head part of the rocket and locations that got hit with explosive content of the rocket.